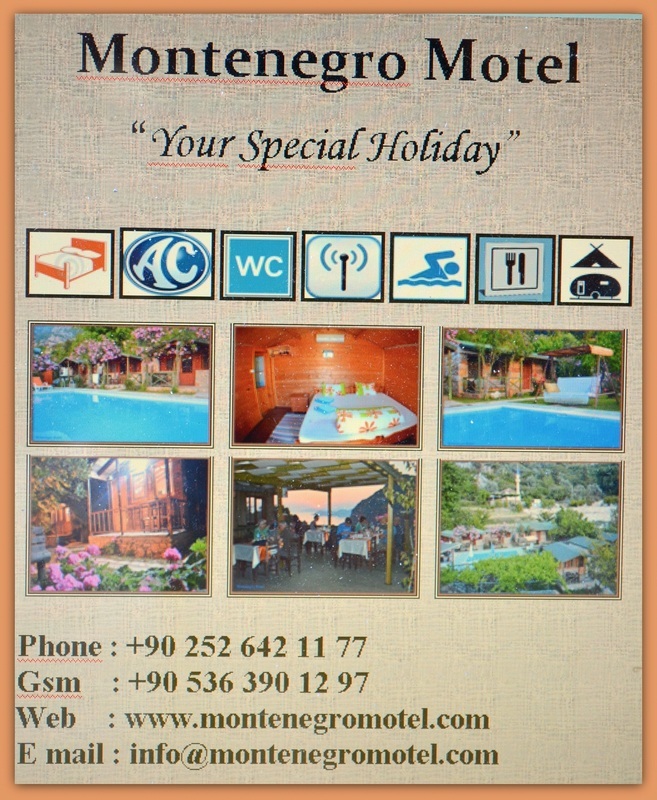 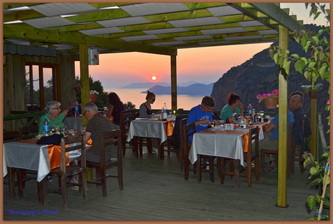 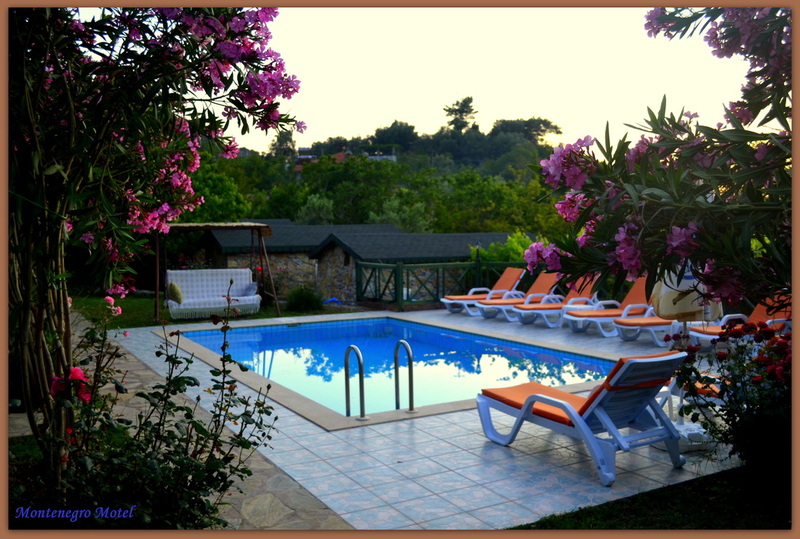 The Montenegro Motel is located in Faralya Village and managed by a family.İt has spectaculer view, ensuite chalets, an open swimming pool, a lovely garden, delicius turkish foods, a terrace restaurant with wonderful sunset view, an indoor restaurant with fire place. 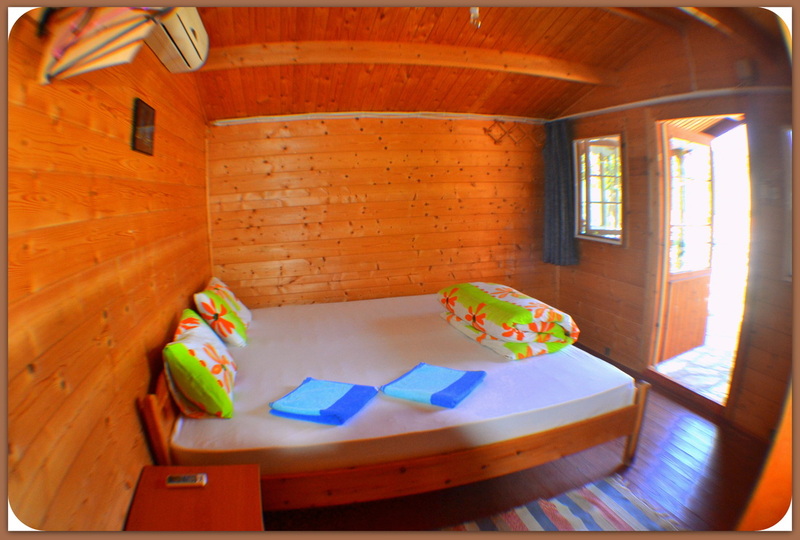 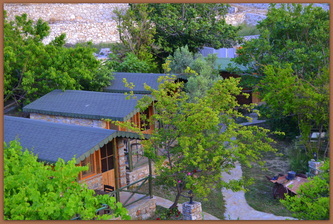 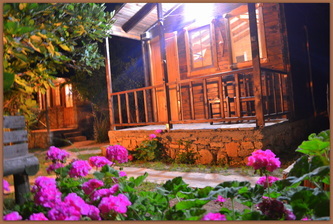 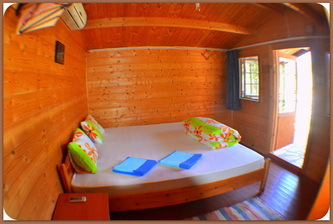 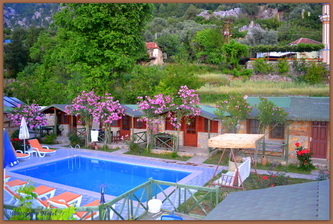 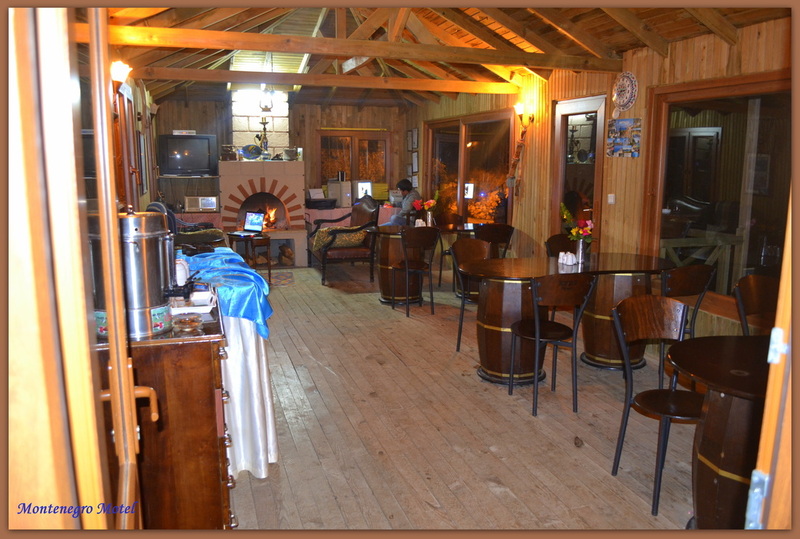 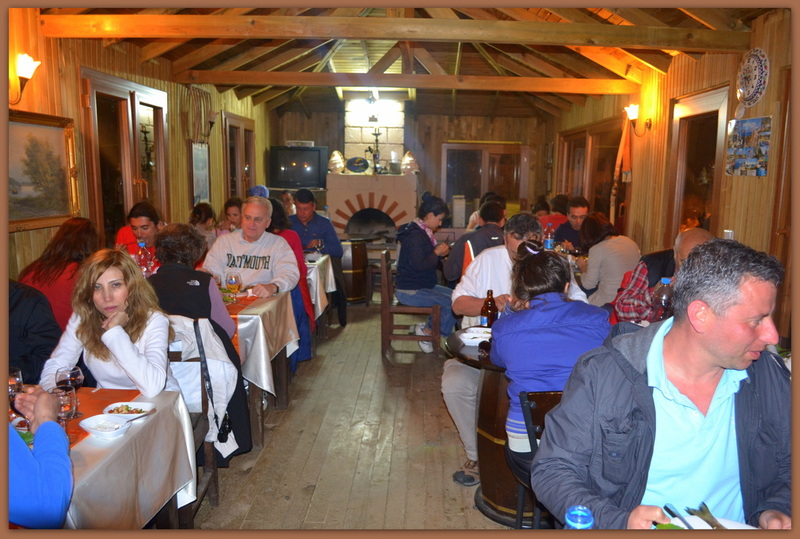 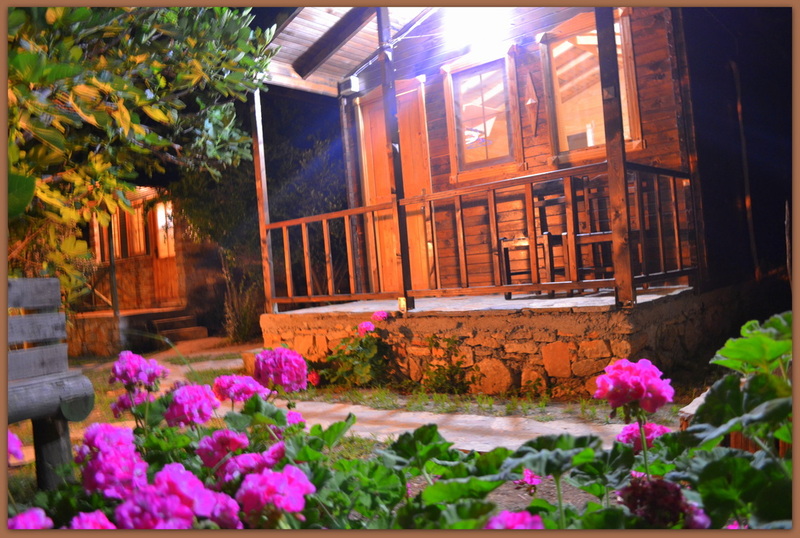 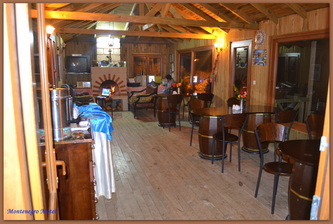 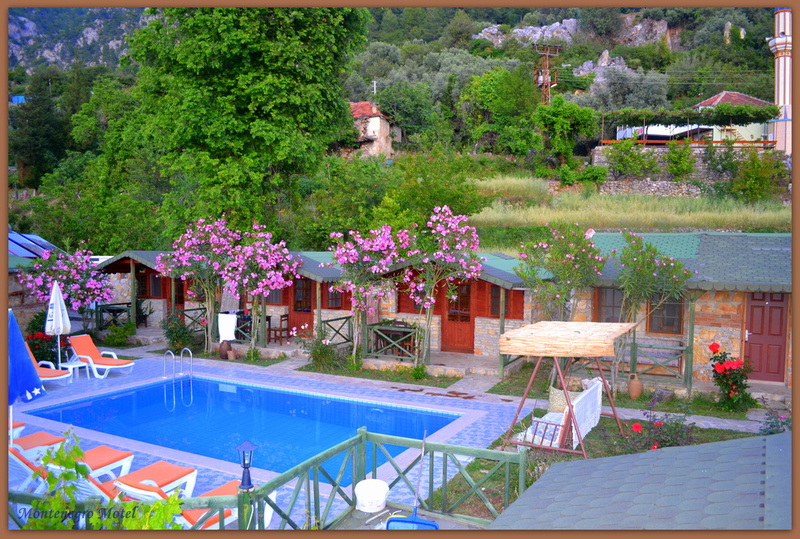 The rooms moderned with WİFİ, A.C, Bathroom and of course 24h. 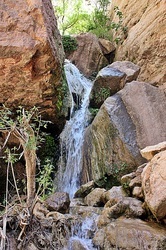 hot water. 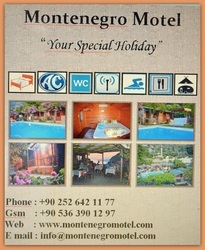 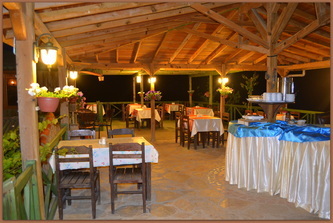 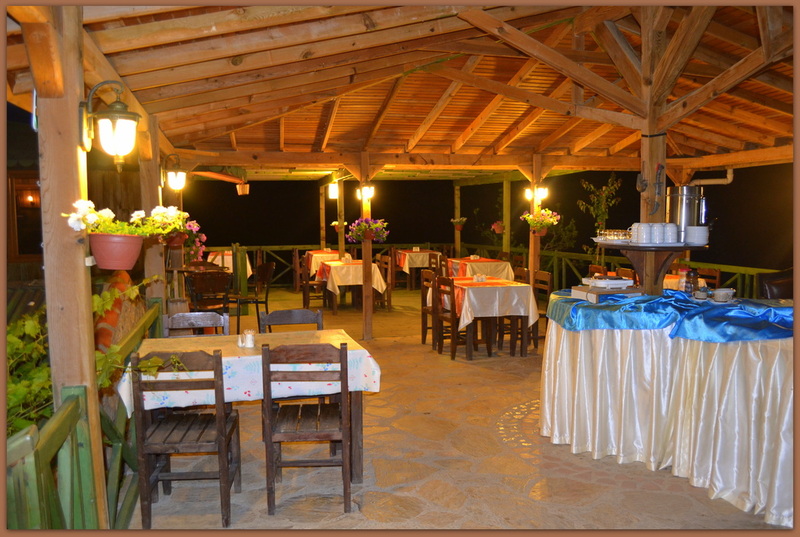 İf you choose the option 1 ; you will stay a week in Montenegro Motel and walk the trails around here. recognised as the harder of our two options. 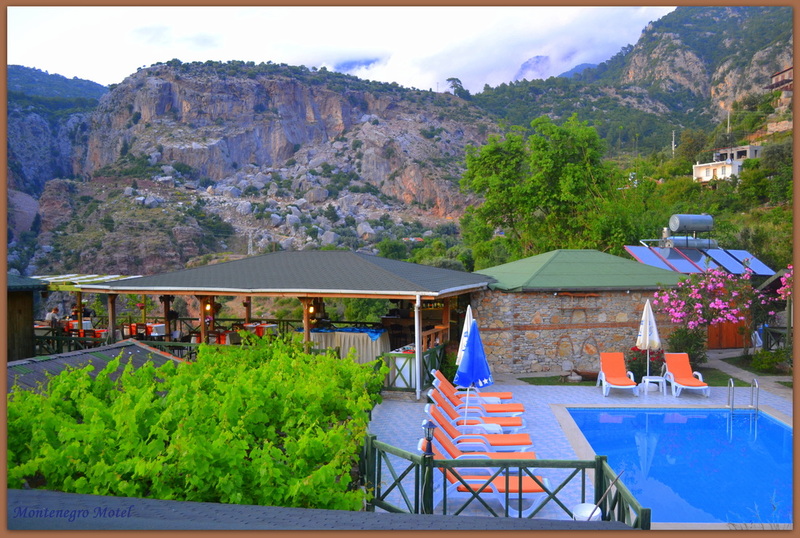 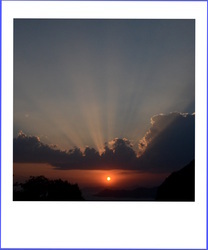 Lycian Way Option 2 programme offering a more challenging walking experience. 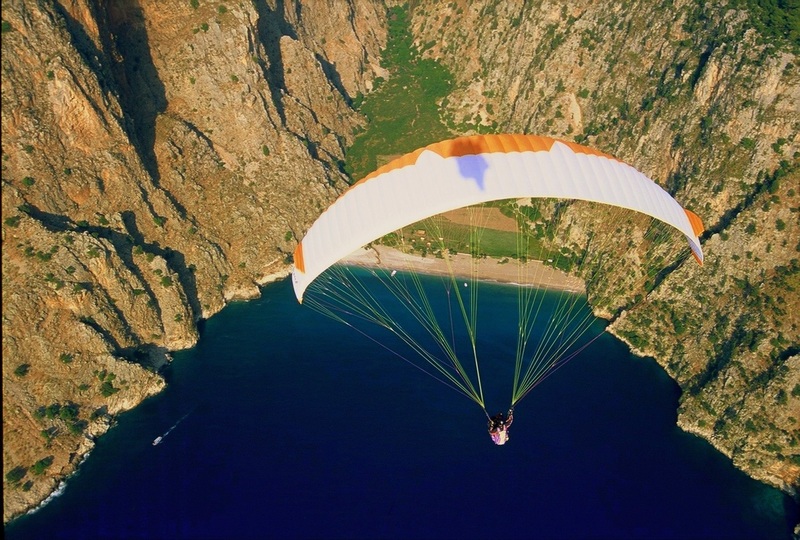 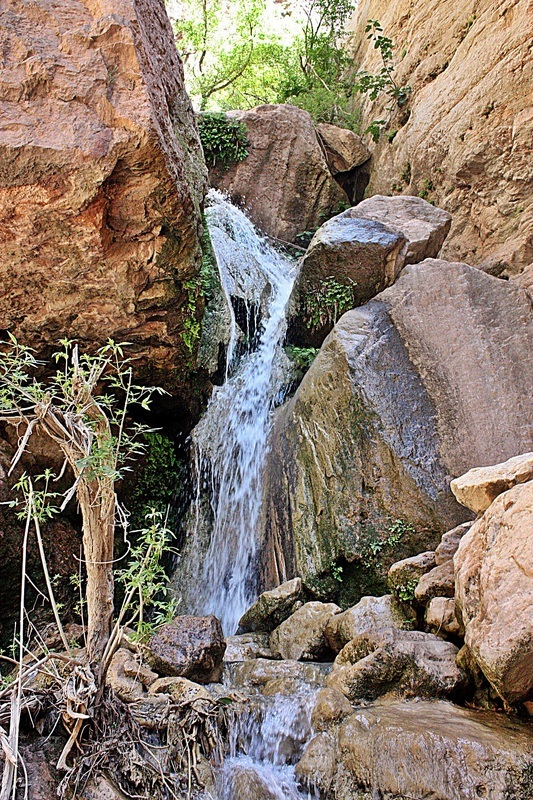 Your adventure will begin in Ovacik, the traditional beginning of the Lycian Way. 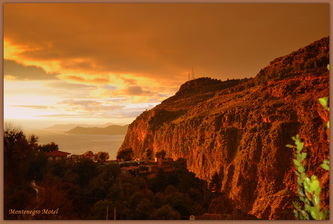 Often described as the prettiest sections of the walking holiday, here you can enjoy fantastic coastal views, ancient historic ruins, unspoilt Turkish villages and towns such as Faralya, Alinca,Gey, Gavuragili, Akbel and Patara.On this option 2, you can experience wonderful fresh Turkish cuisine and the warmest of welcomes from our generous hosts.Your luggages will be picked-up to the next location by us.